Yesterday, I wasn’t satisfied with retrobrite last results on front console and L/R buttons. Before of re-assembling all plastic parts with electronics, I decided to came back this parts to sunlight for two extra hours to remove the light yellow aspect remaining on some spots on those parts. 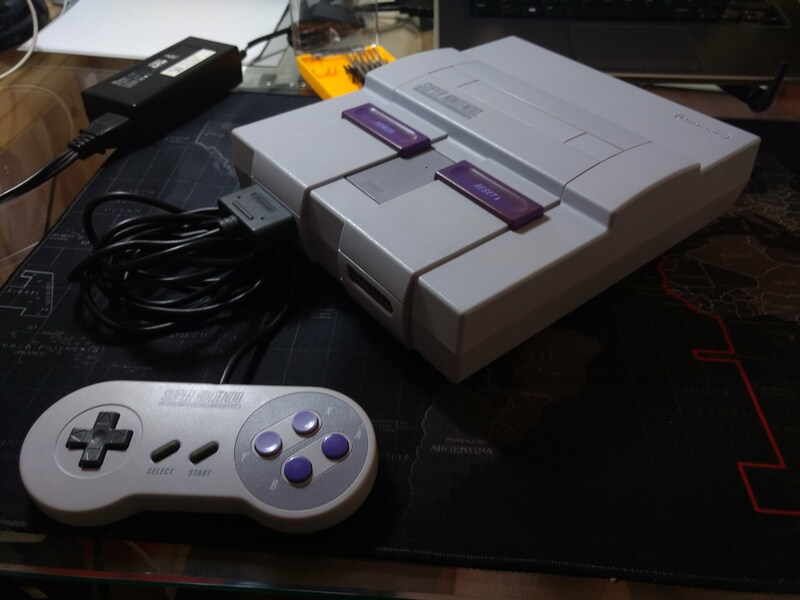 So, after the retrobrite process, I re-assembled the SNES console and the controller available (the other one still missing), starting plugging electronic parts outside the plastics to see if everything works fine. And, it worked! I decided to clean the electronic parts with Isopropyl Alcohol and cotton swabs. With all clean, I started to re-assembling first the controller and then the console.